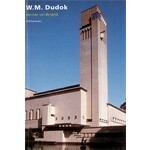 Willem Marinus Dudok (1884-1974) is regarded internationally as one of the most important Dutch architects. As director of Public Works and City Architect to Hilversum, Dudok realized in that municipality not only his world-famous City Hall but also a welter of smaller projects including public baths, a library, housing, schools, a sports park and a cemetery. 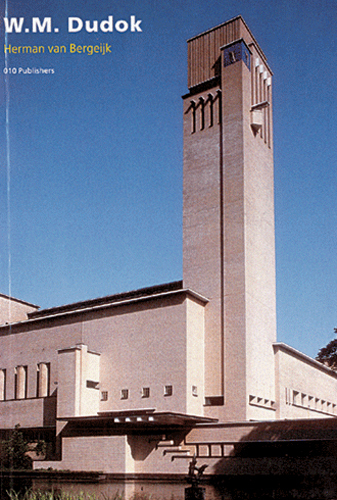 Willem Marinus Dudok (1884-1974) is regarded internationally as one of the most important Dutch architects. As director of Public Works and City Architect to Hilversum, Dudok realized in that municipality not only his world-famous City Hall but also a welter of smaller projects including public baths, a library, housing, schools, a sports park and a cemetery. It was in this period that Dudok developed his own idiom, marked by compositions of cubic volumes. Besides his Hilversum buildings, others he built in Rotterdam, Paris and Velsen have been the subject of great interest. They are regarded as exemplifying an architecture that appeals not only to the professional world but also to the public at large. This compact though lavishly illustrated volume gives a complete overview of the major works by this architect who succeeded in striking a unique balance between modernism and tradition.